For a U.S. Senator desperate to position himself as a moderate, liberal Sen. Mark Udall Sen. Michael Bennet sure picked an entrenched liberal to set the tone and messaging for his campaign. PeakNation™, welcome Chris Harris Jeff Zucker to Colorado. This lede was taken from our post a year ago about former Sen. Mark Udall’s new comms guy, Chris Harris. Reviewing Zucker’s background, it would appear that Colorado Democrats have failed to learn their lesson from the a$$-kicking last November. Did they bring in someone from purple Virginia or North Carolina that would perhaps more appropriately mirror Colorado? Nope. They brought in a guy who has primarily worked campaigns in deep blue liberal states like Oregon and Massachusetts as Deputy Campaign Director for Sens. Jeff Merkley and Ed Markey, respectively. Folks, as much as you try, Colorado looks nothing like Massachusetts or Oregon, and Bennet’s path to victory will be no stroll through the Botanic Gardens. But, Dems did bring him in early, which means they must be thinking they are in trouble in 2016. Of course, it doesn’t matter who Dems bring in. Afterall, last year, they brought in the comms director from American Bridge – he should have been more than qualified to lead the comms effort with Team Udall. Yet, the Udall campaign’s greatest failure was in the communications and messaging department. Sadly for Udall, women weren’t as interested in talking about their reproductive organs as he and his team were. 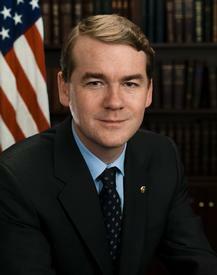 Bennet is starting his campaign underwater, which top-tier Republican will step up to run against him? FIRE THE SOB next year!